Sunlight Mountain Resort. The Ski Getaway You've Been Missing. Topping out at almost 9900 feet above sea level with 2010 feet of vertical drop, this salty little 470 acre hill skis way bigger than it looks. Plus the prices are some of the lowest around, and the people just can’t be beat. Where to rent skis close to Sunlight. Lift ticket prices and discount ski passes. Where to stay close to Sunlight Mountain Resort. Mountain shuttles, free bus routes, and travel info. Here is some additional information Sunlight Mountain Resort. Directions to Sunlight – A short drive from Glenwood Springs, but it’s not well marked and easy to get lost. Sunlight Parking – There’s an upper and a lower parking lot, plus overflow on the road in if it’s a really busy day. Sunlight Mountain Terrain Park – Meier Pump House Park is the Sunlight Mountain Resort terrain park. You’re gonna love it. Sunlight Mountain Resort is a quiet little hill, away from the crowds and craziness of the Summit County resorts. 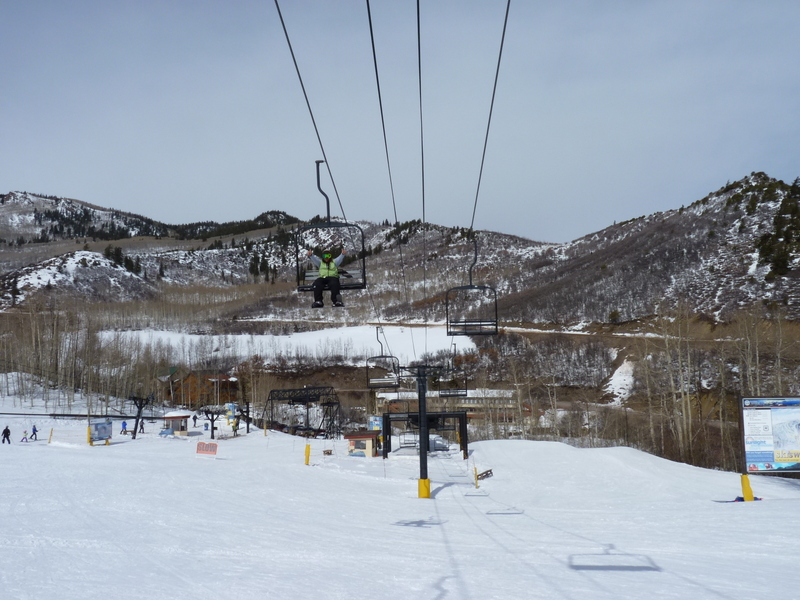 Located just 13 miles from downtown Glenwood Springs, Sunlight is traditionally a local’s hill that more and more outsiders are discovering each year because of the affordable price, wide offerings, and best of all: no lift lines. Sunlight is a small ski mountain at 470 skiable acres, but inside of that acreage is plenty of beginner, intermediate, and expert terrain, as well as a no-joke terrain park, ski lessons, snowmobile tours, and Nordic skiing. No matter what you like to do on the snow, Sunlight has it all covered. The mountain itself leans toward beginners, and if you are on the skier’s right part of the mountain, that’s a great place for anyone to learn and to get to the next level. Because Sunlight Mountain is a small resort, wedged between two large mountains, there isn’t tons of development, condo blocks, and the usual trappings of the big resorts cluttering up your view while skiing. While there isn’t much in the way of on-mountain lodging or restaurants, this creates a feel that you are skiing in the country or in some small tucked away place in the Austrian Alps. If you like to ski in a place with a robust apres ski scene, Sunlight is not the place for you. This is a place where you will most likely want to pack in your food and drink and just concentrate on what you came to do. People always come to Colorado and want to know where Coloradoans ski, where the hidden gems are, and just what it is that we do that they don’t know about. And it’s places like Sunlight Mountain. Here, you can just ski all day. You won’t be waiting in line for very long—or at all—even on the best weekend powder days. You will have plenty of different terrain no matter what you like to ski. And you don’t have to pay $140 a day to ski. It’s affordable and it’s dense with skiing. Come check it out.